Creating jewellery inspired by art, architecture and her travels, Suhani Parekh, founder of Misho Designs is perfect for edgy and statement jewellery. 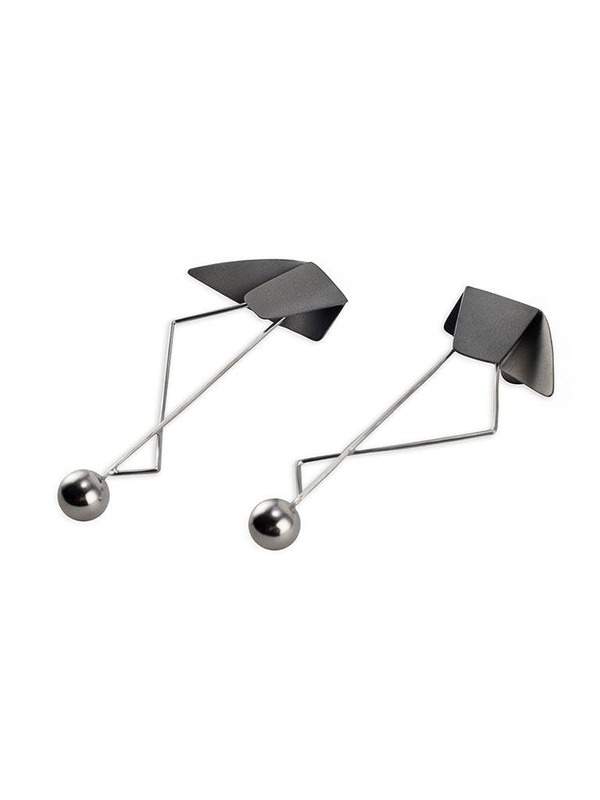 Think sharp blade earrings, gravity earrings and cascade earrings frozen in metal and time. Diamonds are not always a girl's best friend. Sometimes minimalist gold earrings shaped like a Katana sword are. That's right, Misho Designs, the brainchild of Suhani Parekh, does all sorts of delicate jewellery, that's almost always, inspired by contemporary art, architectural styles and her travels. Hence an entire collection named Katana that features brilliant earrings, studs, rings and hairpins all designs with the fine Japanese sword as the focus. Delicate, intricate and statement pieces, this trend isn't limited to the blade collection. The Cascade collection is more flowly though frozen as it's metal, while Blueprint is exactly as it sounds - an architectural range that features vertex earrings with dominant lines, Sterling silver rings that look like constructions and even statement danglers that look like a suspended metal blueprint. I plan to splurge on the necklaces too. If you're into zodiacs, they have a pendant for each one. Sphere bangles and link ones to pretty your wrists and also funky gravity earrings that would make Isaac Newton proud. Prices start at INR 3,000 and go up to INR 20,000. But using 22 carat gold for some of the pieces, it's a no-brainer.